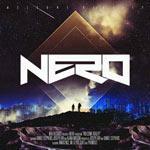 Despite being nominated as one of this year's “promising new artists” on the BBC's Sound of 2011 poll, Nero have actually been making music since as early as 2002. In the nine years it's taken to release their debut album, the duo's sound has evolved significantly from underground drum and bass to epic, melody-driven dubstep. And they appear to have found themselves a lot of fans in the process, recently notching up their first number one single in the UK with Promises and looking set to achieve a UK number one album with Welcome Reality. I've called Nero's sound “epic dubstep”, but for anyone who's been a fan of dubstep for more than eighteen months, Welcome Reality may feel disappointingly pop-driven. As dubstep continues to grow in popularity, there's a growing difference between the underground dubstep sound favoured by artists such as Benga, Rusko and Skream and the popular dubstep tracks produced by artists such as Nero and Modestep. More often that not, with the latter, it's the melodies, rather than the beats, that are the focus of the tracks. That's not to say that Welcome Reality is a pop album, nor that it contains a lack of very powerful dubstep beats. In fact, on almost all tracks, the beats are loud, brash and unashamed. It's just that, after Nero's early underground releases, Welcome Reality has the feel of an album that's been specifically designed to appeal to the masses. The real highlights on this album are former singles Me and You and Guilt. Welcome Reality features expanded versions of both songs, and the album version of Guilt in particular is superb, building to a truly exciting finale. Fugue State is another standout track – largely instrumental, with a house beat, SebastiAn-style chopped vocals and a DJ Mehdi Pocket Piano-style chords conclusion, it's one of several tracks with a refreshingly different feel. It's not the only house-infused track on the album either; Must Be The Feeling is a brilliant fusion of 80's pop (care of Carmen's Time to Move) and Justice-esque disco house, which must be a strong contender for a future single. In fact, quite a few 80's sounds creep up over the course of the album. None of them work as well as in Must Be The Feeling though. My Eyes, with its 80s-sounding electric guitar solos and uninteresting melody line, drags on for far too long, and the synths in Reaching Out sound more outdated than retro. For those who are new to dubstep (or dance music generally) and are fans of the singles Nero have released in the past few months, Welcome Reality may well be an appropriate introduction to the more commercial side of dubstep. The relentless energy expended throughout the album will no doubt also make the album appeal to fans of Does It Offend You, Yeah?, Pendulum or the Prodigy. But listeners with a broader appreciation of dance and electronic music would be well advised to source their dubstep fix from elsewhere...perhaps Magnetic Man's self-titled début or Caspa and Rusko's excellent Fabriclive compilation?